In a day and age where news travels as fast as your internet connection, International Private Medical Insurance Magazine caters for a truly nomadic audience, by utilizing best-in-class industry content and cutting edge digital distribution systems. iPMI Magazine is the leading international health insurance magazine catering for the worldwide expatriate, travel, business, insurance and healthcare markets. iPMI Magazine provides daily news covering insurance, air ambulance, assistance, cost containment, expat healthcare and third party administration. As you know iPMI Magazine readers demand the most up-to-speed information on International Healthcare Payors and Service Providers including companies that provide Air Ambulance, Assistance, Cost Containment, Expatriate Insurance, Ground Ambulance, Hospitals and Clinics, iPMI, Private Medical, Insurance, PR & Marketing, Technology, Third Party Administrators and Travel Insurance. You have probably logged on to the iPMI Magazine Provider Network directory and noticed that it is a definitive source of contacts for Insurance Companies, Brokers, Assistance Networks, Private Corps with Remote and Mobile HR assets, Hospitals, Clinics, Medical Transportation Companies and Governments. Well we wish to grow the number of companies we represent so our readers may access the right providers, at the right time. We are seeking to expand across all classifications including insurance, assistance, TPA, medical transportation, cost containment, claims management, technology, events, media, consultancy, hospitals and clinics. David and his hard working team at IPMI magazine consistently provide subscribers with articles that are current, interesting, and relevant. I recommend the IPMIM to decision makers and anyone else with an interest in gaining an up to the minute perspective on issues that affect our industry. Doug Clement, Owner at Transworld Claims Solutions Inc.
A valuable communications channel supported by a first rate team. We have found that the timing and relevance of the news that David and his team release via the IPMI magazine is extremely impressive. We hope that IPMI continues to grow, develop and maintain accurate and interesting reporting to our industry. Gary Andrews president, redconsulting services, inc.
iPMIM is an incredible case study in the age of new wave digital media! For advertisers catering for expatriate and business travel insurance and assistance, it has drawn respected and targeted exposure, in a field previously limited in scope and content. As a result more industry leaders are learning that this is not only a viable growth sector globally, but also about the overwhelming importance of international health insurance, and how it effects our personal lives and work environment. IPMI magazine is an excellent media for brokers & insurers with an excellent internet exposure. 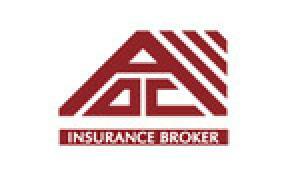 Thank you for your collaboration with AOC Insurance Broker. iPMI Magazine is a fantastic way to be updated in iPMI matters! I`m glad to be part of this group. Adriano Valente Rocha, Rocha Consultora e Corretora de Seguros Risk Consulting & Insurance Brokerage Brazil. QHA Trent has no formal or financial association with IPMIM, but it has very interesting content indeed that is easily accessible. I discovered with great interest your web site and must congratulate you on an excellent experience. We use IPMI Magazine to keep up to date with the cross border healthcare and private medical insurance industry news. We also advertise and are happy to report that in only 8 weeks we have already made profit on the advertising investment. IPMI Magazine has already generated 21 inquiries for us: 12 have already been closed; the remaining are medium term needs for 2012. Highly recommended innovative platform and process. This is a very useful online magazine for international travelers and expatriates. The information given is simple and easy to understand about the options available for insurance as well as health service providers spread in many countries all over the world. This will prove to be of great assistance to those in need of emergency as well as regular care and updates of industry news. Congratulations and best wishes on coming out with such a superb digital platform. Normally $3250USD per year, the Provider Plus Digital Marketing Program by iPMIM, comes packed to the top with both advertising and editorial components. Get front page coverage, total provider directory coverage, back links to your website, optimized content, video placements, premium logo placements and much more. Check out the features and benefits on Page 25 of the iPMIM media kit. Sponsored by MEDCARE PROFESSIONAL iPMI Magazine is excited to launch the first in a series of medical transportation executive virtual round table sessions. Bringing together leading lights from the air and ground ambulance business, the first session kicks off with a focus on The Role of Accreditation and Quality Management Systems in Medical Transportation. Positions are available for The Role of Accreditation and Quality Management Systems in Medical Transportation Round table. The selected companies will: Have their logo on all round table promotional material; Be identified as a supporter; Answer all round table questions; Photo in the round table gallery. In 2013 insurance and assistance companies, more than ever, are looking for air and ground ambulance companies that are driven by quality, and a very high standard of patient care. Ensuring the safe transportation of business travelers, expatriates and tourists, there are a range of quality management systems including ISO and the Malcolm Baldrige National Quality Award. For the air ambulance industry, specific accreditation programs are available around the world, including EURAMI and CAMTS. MedCare Professional provides Ground Ambulance and Air Ambulance Services to the International Travel, Medical, Health, Expatriate Insurance and Assistance Marketplace. MCP is a leading medical transportation services provider and offers national and international patient transport. We operate reliably and economically with leading insurance companies, hospitals and groups together, our team has won several awards for its outstanding quality. MedCareProfessional is as the name of the program: Only highly qualified medical staff takes care of the patient, our equipment is many-to-date national and international certifications out for us self-evident proof of our own standard of quality - as a guarantee for our customers and their own motivation. You can rely on us. Always. The operations center is the heart and the hub of our company: This is where all the information here makes the team together between uses. In the center offers will be created to advise people in emergencies, international missions planned, conducted exploratory conversations, solutions found and coordinated operations. From the first contact ask our staff all the necessary information to determine together with the respective client that's right for the patient Transportmodalität. 24 hours a day medical staff are on hand to take on missions to counsel patients and to make medical inquiries as members. Our ground ambulances, mobile intensive care and ambulance and commercial aircraft, we help injured and sick people with professional help all over the world. We work on all transport routes and in Auslandsrückholdienst, anytime, anywhere. International Private Medical Insurance Magazine is the ultimate health insurance magazine and guide to private medical insurance, medical assistance, travel assistance, cost containment, air ambulance, ground ambulance, third party administration, claims management, travel, travel insurance, medical tourism and expatriate life. Providing mission critical business information International Private Medical Insurance Magazine has you covered and has been in operation since 2011. With over 100 clients, iPMI Magazine quickly established itself as the industry standard media for the international health insurance and assistance industry. News that travels as fast as your internet connection, International Private Medical Insurance Magazine remains digital to serve what is a nomadic industry. Reaching further than any news paper, magazine or journal International Private Medical Insurance Magazine publishes and distributes international healthcare industry, market, company and executive news, as it happens, from where it happens. International Private Medical Insurance Magazine provides insurance, assistance and private companies access to trusted Air Ambulance Company data. You can compare, select and source a air ambulance company in the International Private Medical Insurance Magazine air ambulance company guide and directory. International Private Medical Insurance Magazine works closely with air ambulance owners, operators and brokers with providers and companies from all corners of the earth including Austria, Belgium, Canada, Cyprus, Czech Republic, Egypt, Germany, Greece, Malta, Mauritius, Panama, Romania, Singapore, South Africa, Turkey and the USA. Finding the correct and appropriate air ambulance company is of critical importance for international medical, travel, health and expatriate insurance underwriters, providers and companies, as well as for worldwide medical and travel assistance companies and the patient. Getting to know the right air ambulance, before you need one, can make all the difference when accidents happen, or you fall sick abroad. Overseas travel is a risky business in 2013 and expatriates, business travelers and tourists all face a myriad of new risks on foreign shores. Find the right air ambulance company and provider today by logging onto the iPMI Magazine air ambulance company guide and directory.